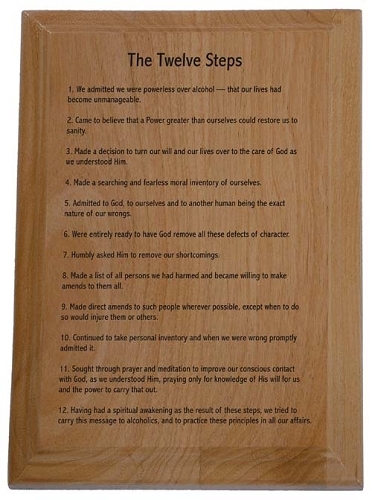 Our Twelve Traditions beautifully laser engraved into a solid alder wood plaque. Suitable for hanging in any room, office or meeting hall! Available with either the 12 Steps of Alcoholics Anonymous or the 12 Steps of Narcotics Anonymous. Love the plaque! Perfect anywhere in the house!